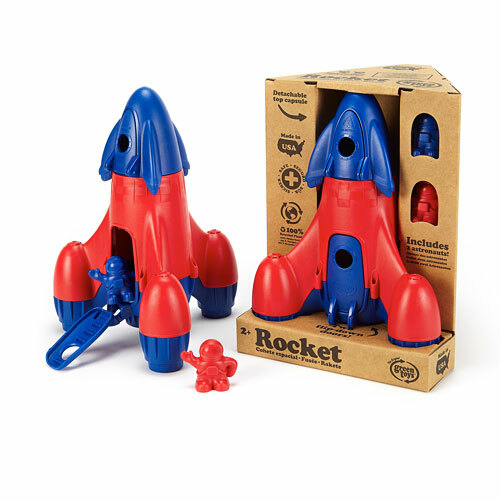 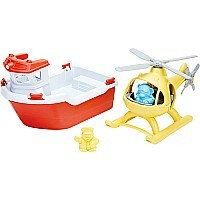 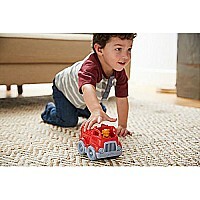 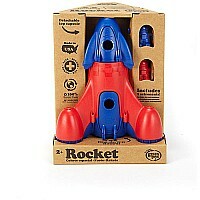 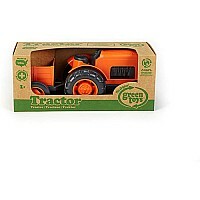 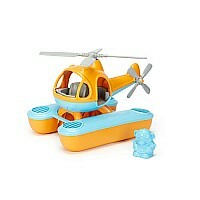 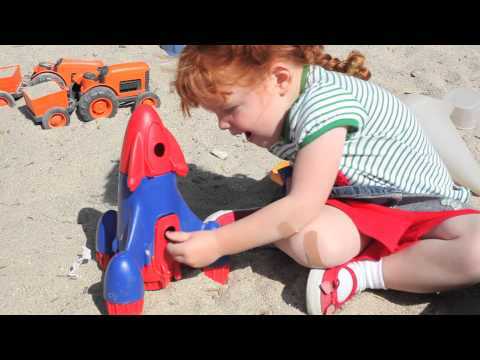 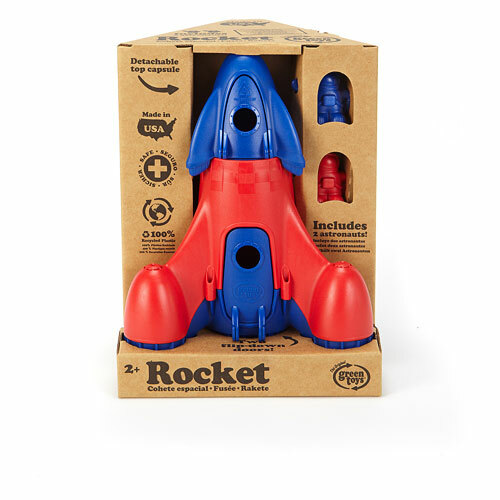 3-2-1 blast off the Green Toys Rocket launches into another eco-friendly deep-space mission! Made in the USA from 100 recycled plastic milk jugs that save energy and reduce greenhouse gas emissions, this spacecraft takes off in search of other planets while still taking care of this one. 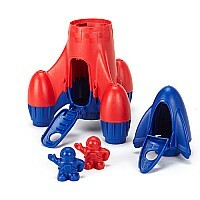 The fully equipped, 2-in-1 set includes a detachable top capsule and two astronauts that sport molded spacesuits, helmets, and dual-tank backpacks. 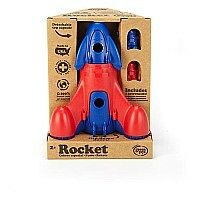 Powered by a main booster and three auxiliary fin boosters, the Rocket has a large door that flips down to double as a set of steps up into the main cavity, while the detachable nose cone capsule has its own door that opens to reveal buttons, dials, and of course, the signature Green Toys 8-track. Dimensions: Rocket 8" L x 9" W x 11-1/2" H, Astronauts: 1-1/4" L x 2-1/4" W x 2" H.
Measures approximately: 8.00 x 9.00 x 11.50 inches..